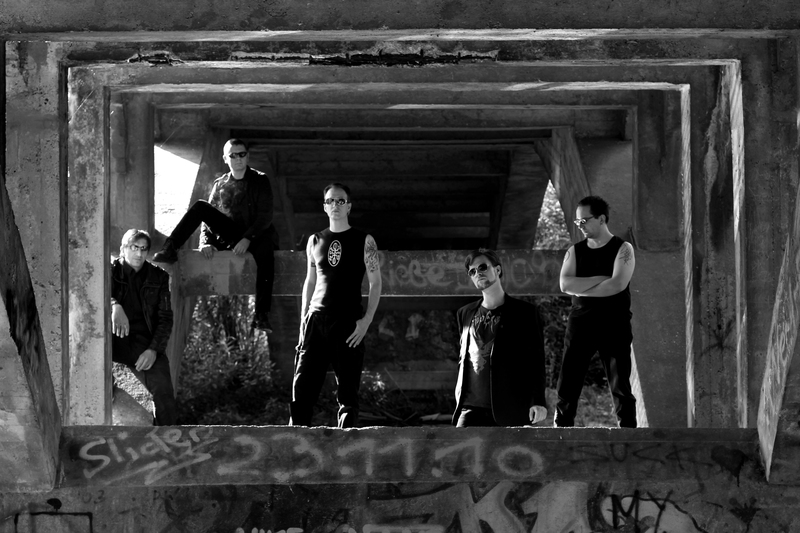 ""Indefatigable, indomitable, invincible" (Thomas Thyssen): REPTYLE have been a household name in German gothic rock for more than a decade. 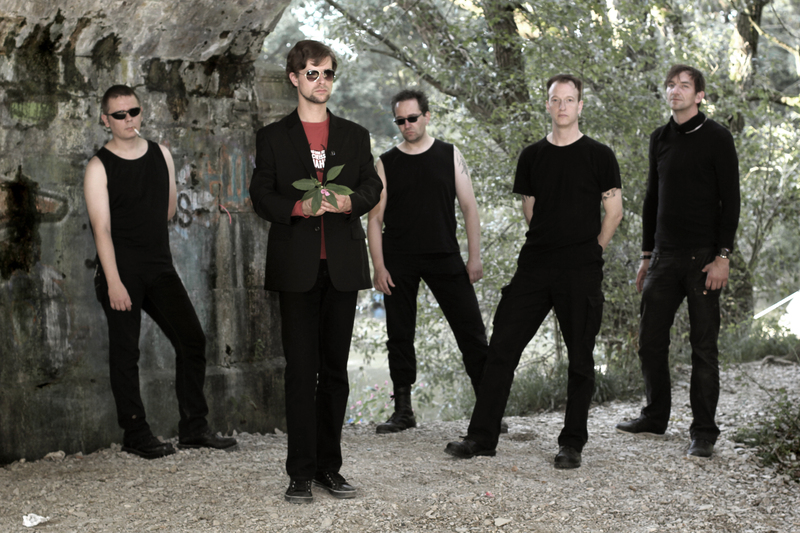 The five-piece from deepest East Westphalia follows a unique vision of epic and massive dark rock, thoroughly unimpressed by trends and market forecasts. 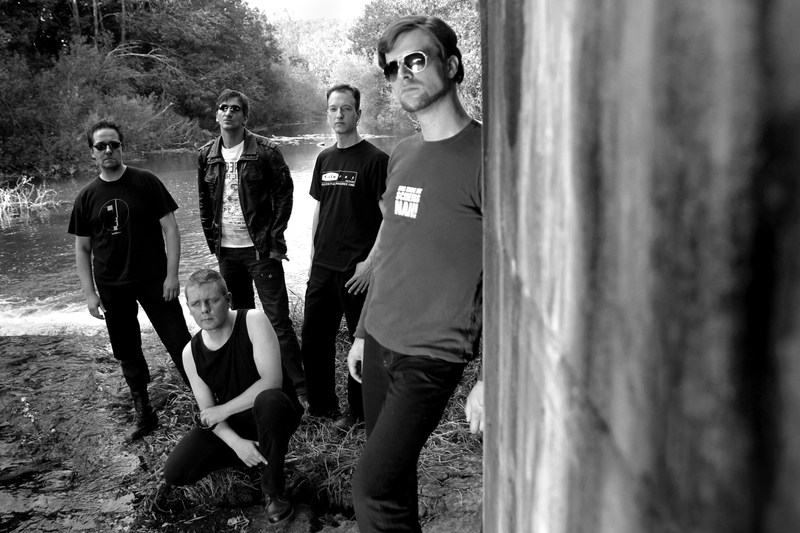 With two albums and one E. P. to date, all of them acclaimed by fans and critics alike, they have developed their own unique sound, inspired by the venerable pioneers of the genre (from BAUHAUS to PARADISE LOST), yet absolutely distinctive and unmistakable. 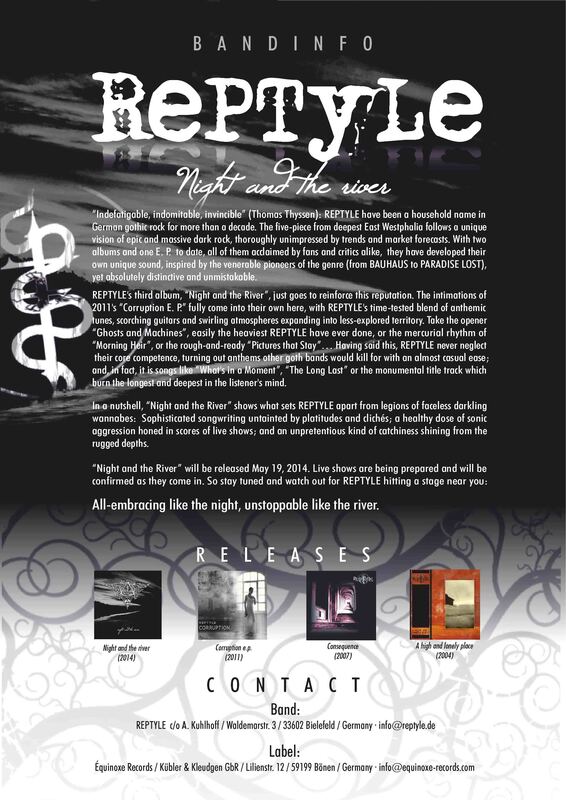 REPTYLE's third album, "Night and the River", just goes to reinforce this reputation. The intimations of 2011's "Corruption E. P." fully come into their own here, with REPTYLE's time-tested blend of anthemic tunes, scorching guitars and swirling atmospheres expanding into less-explored territory. Take the opener "Ghosts and Machines", easily the heaviest REPTYLE have ever done, or the mercurial rhythm of "Morning Heir", or the rough-and-ready "Pictures that Stay"… Having said this, REPTYLE never neglect their core competence, turning out anthems other goth bands would kill for with an almost casual ease; and, in fact, it is songs like "What's in a Moment", "The Long Last" or the monumental title track which burn the longest and deepest in the listener's mind. In a nutshell, "Night and the River" shows what sets REPTYLE apart from legions of faceless darkling wannabes: Sophisticated songwriting untainted by platitudes and clichés; a healthy dose of sonic aggression honed in scores of live shows; and an unpretentious kind of catchiness shining from the rugged depths. "Night and the River" will be released May 23, 2014. Live shows are being prepared and will be confirmed as they come in. So stay tuned and watch out for REPTYLE hitting a stage near you: All-embracing like the night, unstoppable like the river.